Today, I’m interviewing Kate about her debut novel — Dark Days, a YA dystopian action-romance which releases in the UK and US on June 3rd. 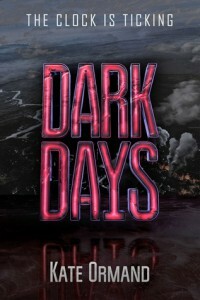 I was lucky enough to read a proof of Dark Days and really enjoyed it — it’s a hugely adrenaline-packed, fast-paced read. You can check out my review here. Hi Kate! Not long now until Dark Days is released – can you tell us a little about it? Hi Kendra! Sure, DARK DAYS is a YA dystopian action-romance novel set in a world where society is spilt into sectors with a metal wall surrounding each one. There isn’t a way in our out, and a clock tower counts down the days until a cyborg army penetrates the walls. When they do, nothing will be left of the sector and its citizens but blood, fire, and ash. Sia and her family are too ordinary to be picked by the New World—a place that is highly selective of its citizens, with the idea of moving toward a perfect future. Sia accepts her fate, knowing she can’t escape it. Then she meets Mace, who refuses to give up without a fight, and her view of the whole situation starts to shift. The concept of Dark Days is really unique and deliciously dark! How did you come up with it? Thank you! Images tend to be the best source of inspiration for me, but with DARK DAYS I can’t fully remember what triggered the story. With everything else I’ve written, it was an object, or a poster, or an image online that sparked an idea. With DD, all I can really recall is picturing the digital clock counting down, and the army of cyborgs. So I guess that’s where my journey with this particular book began. I’m guessing it came from my love of dystopian novels and action films. I loved how the characters in Dark Days react in different ways to their dire situation. How do you think you’d cope in Sia’s position? Thank you (again!). They do, and it was really interesting to explore different reactions to the same situation. I tried to think what I would do all the time to help me write Sia, but she’s a lot braver than I am. I think I’d cry, a lot, and probably try find some way out of it (even though there isn’t one!). I don’t think I’d accept that right away, though. Hehe! I wrote DD as a standalone and though I have been tempted, I have quite a few other projects on the go (novels & picture books) that I’m really excited about. They’re getting my full attention at the moment. I know you have an artistic background. Did you have any say in the cover design? I had a little input, which was nice. I made a mood board, and also put together some covers I liked and what I liked about them, which was sent to the design team. But in the end they have the final say, though it was open for discussion. I loved the cover, so there was no discussion other than lots of woohoo-ing on my end. What’s been the most exciting part of your publishing journey so far? Hmm. There’s been more than a few amazing moments, but tops is when my ARC came in the mail. It was amazing to be holding a real book by me, and to put it on my shelf. I think I’ll feel like that x100 when the finished hardcovers arrive. Can you whet our appetites with a snippet from Dark Days? The handle rattles and shakes, and the lock twists and clicks. I make it across the room just in time to hide behind the door as it swings open. Someone steps inside. The footsteps are quiet, not like Felicity’s loud heels. Still, I don’t move, don’t risk making even the smallest sound. A boy’s voice whispers my name. As well as Dark Days, you have a couple of other books on the horizon under a different name. Can you tell us about them? I do. 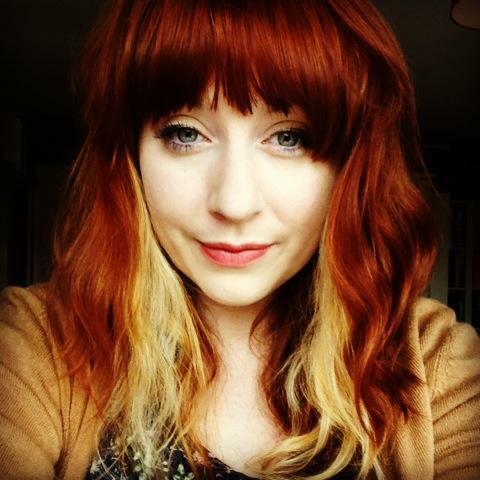 I write children’s picture books under the name Kate Louise. There’s THE UPSIDE-DOWN FISH, out February 2015 with Sky Pony Press. It’s illustrated by Laura Matine, and about being yourself and finding happiness with those who like you just the way you are. Following that, also in 2015 and also with Sky Pony Press, is PIERRE THE FRENCH BULLDOG RECYCLES. This is illustrated by Bethany Straker, and educates children on recycling in a fun and quirky way. Thanks for having me, Kendra! I highly recommend checking out Kate’s debut asap. In the meantime, you can find out more about Kate on her website, Twitter and Facebook, and add Dark Days on Goodreads. Ooh great interview! I’m definitely going to give this book ago, sounds intriguing. And what a machine – five books in 18 months? Wowzers!